Through a partnership with professional stakeholder WSP, SF2030 has combined its member resources with public records available through SFOpenData to create a first-of-its-kind interactive and data-rich District map! 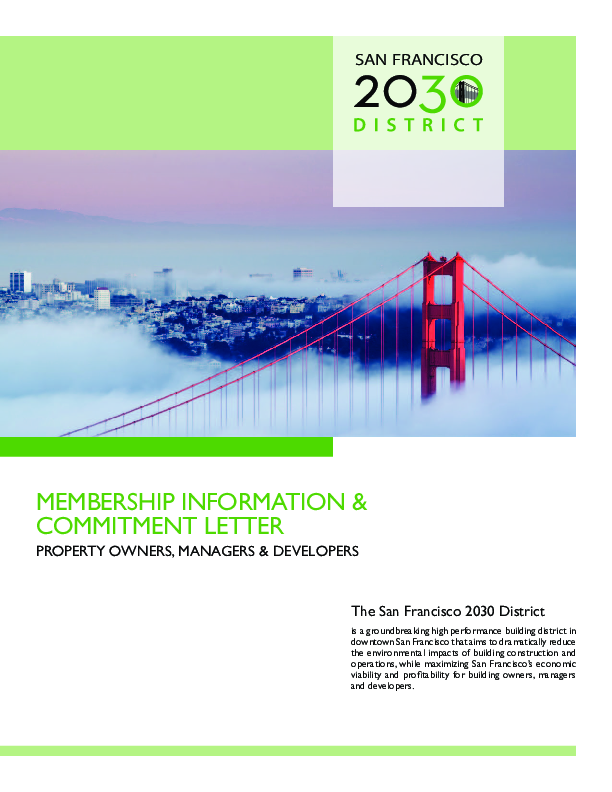 Originally designed to serve the SF2030's membership growth goals it can be a powerful resource for District members and partner organizations pursuing sustainability work at the building, neighborhood or city level. Clicking on features reveals unique building property and energy data, while color coding and zoom functions inform users if their office building has subscribed to the 2030 Challenge. Want to bring a building on board? We'd love to hear from you! Scroll down to read more on our process and see contact information. Access the full tool here to explore property size, address, land use and EUI! Help the District reach its goal by engaging more buildings in the 2030 Challenge. Recognize a building on this map? Reach out with our membership materials to invite it to join! Contact Program Manager Eleanor Johnstone at ejohnstone@2030districts.org for more details.